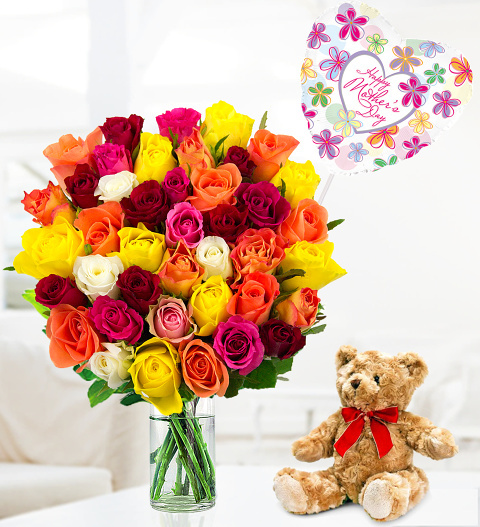 Our team has chosen 40 charming roses along with a gorgeous traditional bear and an air filled 9&apos; balloon to brighten mum&apos;s day. Not only are the flowers beautiful, but the bear will be something she can hold on to long after Mother&apos;s Day as passed. Chocolates may contain nuts.